Neuro-Linguistic Programming (NLP) is a common sense system of everyday psychology that has enhanced millions of lives. I took the statement right off the back cover of Neuro-linguistic Programming for Dummies, which is a pretty good beginner NLP book if you haven’t read any other. And the part about enhancing millions of lives is true … but common sense psychology is wishful thinking. It should be common sense, and maybe that’s what the writer meant, but there’s no way in hell that it is. NLP or Neuro Linguistic Programming is deeply rooted in psychology. And many people refer to it as everyday psychology because it doesn’t always involve standard or complicated clinical processes. If you like the idea of using a process you can call everyday psychology then this can be it. And if you’re new to NLP then you’re about to discover a whole new and exciting world. 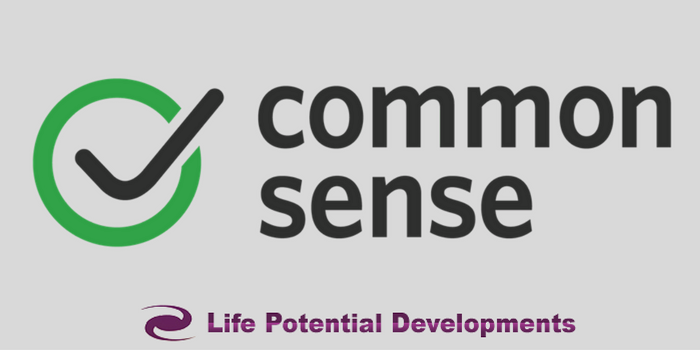 So, getting back to the “Neuro Linguistic Programming – common sense system of everyday psychology” title, the problem is all in the word – common sense. So when you hear the term common sense don’t you immediately think that it’s a sensible thing? And that it’s something that is common enough that we all do it? But All Things Aren’t Equal!! That’s probably why I didn’t pay too much attention to the rest of the economics class. All things are not equal. I understand the concept and I can work with it but I am not fooled by it. So let’s start by revisiting the dictionary quote – “sound and prudent judgment” – well, according to who? You see, your judgment is based on your personal years of experience and is not identical to anyone else. Using the last statement as a good example perhaps I should have said, “according to whom”? But my years of personal experience says it would be more effective to use “who” rather than whom. Why? Because if I use the term “Whom” most people (like me) who don’t speak with perfect English grammar may see me as being a bit snooty, and stop listening. Although those few who would pick up on the proper use of the word may think it common sense, the rest of us don’t have that knowledge so therefore it’s not so common, is it? But let’s not stop there, the rest of the dictionary meaning is just as important and misleading. They say, “Based on a simple perception of the situation or facts”. Well, the world would be a more agreeable place if we all had the same perception of a situation or facts, wouldn’t it? Perhaps you can recall a family disagreement to prove that? So, all things being equal taken figuratively would mean that we would have the good sense to end all wars, stop destroying the planet, and no more endangered species being wiped out. Heck, we wouldn’t even have any arguments at home or work anymore, would we? Heck, we wouldn’t even have any arguments at home or work anymore, would we? You must agree with ME! Well, rather than wish for the impossible, why don’t we try to understand what makes you and I think as we do? What causes others to think in a way so different from us? And when we start to understand that, then we can start to be effective in our communication and change the world for the better. Because Neuro Linguistic Programming (NLP) is about communicating to effectively create change for the better. It’s not common sense yet and may never be, but it can definitely give you an advantage to transforming your thinking so you and others can lead a healthier, wealthier, happier life.